Many of you probably think that because I have this great blog that I am smarter than others. Nothing could be further from the truth. The reality is, sometimes I just research a problem that I am having until I find the solution… I blog about it, and then I usually forget about it. So this week I spent a couple of hours getting my new system (Microsoft Surface Pro 4… Stay tuned for the video and review!) ready, and one of the first things I wanted to do (you know, so I can write the articles and all!) was install Windows Live Writer. Yeah I know, it is an old application, but I still haven’t found anything I like better. Unfortunately I started getting this weird error. No matter what I did I got the error. Drat! Now wait a minute… the computer might be new, but I have been using Windows 10 (and blogging all the while) since July. Maybe I had the same issue before, and just forgot? 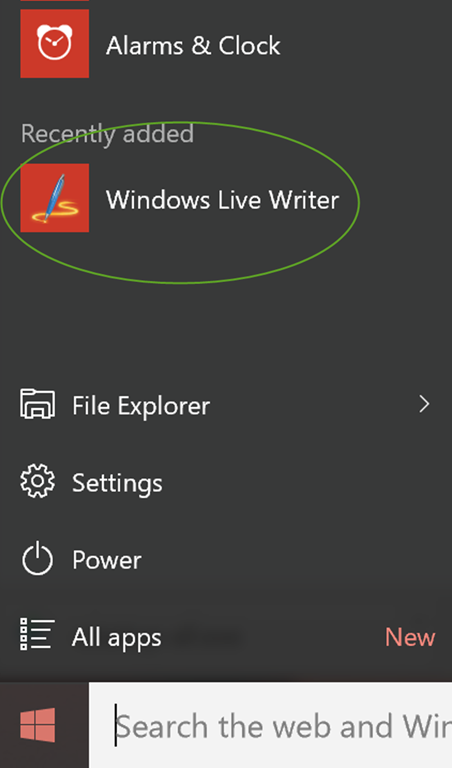 I was glad to see that, as promised by this site, Windows Live Writer was installed. You want more proof? Here I am working on it! This is not the first time I have turned to www.garvis.ca for help. I often use it as a reference for things that I know I have done before, but did not feel important to commit to memory. Anytime I use a dism command or a PowerShell command with a long tag of switches you can be sure that I referred back to the blog. There were several reasons I started blogging way back when. One of them was, as I have told people a hundred times, to help build my brand. It sure has served me well over the years. However another is as a resource tool for myself… I know that if I have to do something once, I might have to do it again. So rather than having a private file that is only good to myself, I have a blog that everyone can use. You may wonder what I am getting at, and here it is. It doesn’t only apply to IT – you can be in any field and benefit from this. Start blogging. If you do, your own notes will be available to you wherever you are… but more importantly, you might just help someone else along the way.